As a young girl, starting your periods can sometimes be a nervous and scary experience, but it needn’t be! 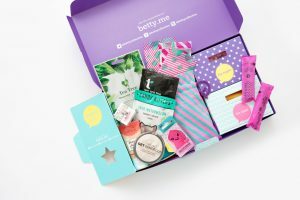 Periods are a completely natural part of becoming a woman, which is why I love the concept behind the bettybox so much. 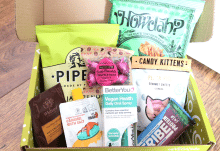 Every month, bettybox will post you a box full of your period essentials and they also include some fun products such as teen-friendly makeup, bath and body treats, tea, sweets and chocolate. How’s that for a happy period?! 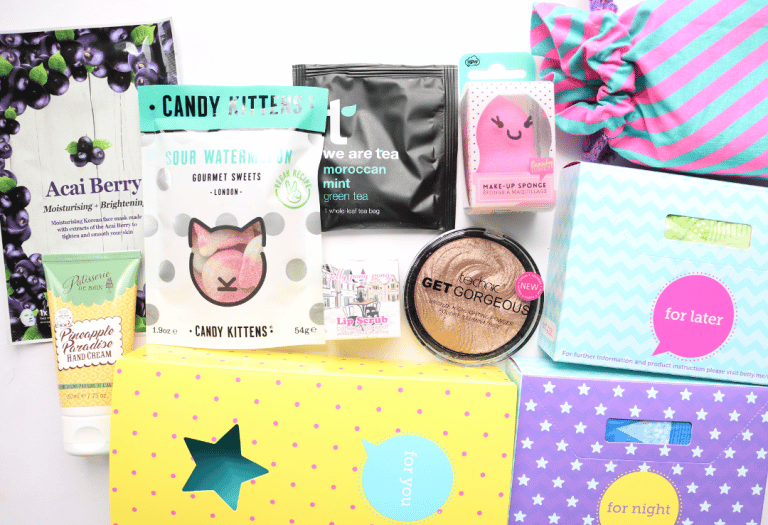 The bettybox is specifically aimed at young girls and teens, and the wonderfully bright and colourful box certainly reflects this. It’s very youthful and everything is separated out into different boxes which makes it even more fun to open up. When you sign up to bettybox, you can pick your favourite period essentials from well-known brands such as Always, Bodyform and Tampax, and you can choose what format you’d like to have e.g pads or tampons. As you can see above, bettybox sends out a great selection of period essentials to keep you covered for the month as there as night pads, normal pads and pantyliners included. Let’s move onto the rest of the products that are in this month’s box which is themed around summer holidays! 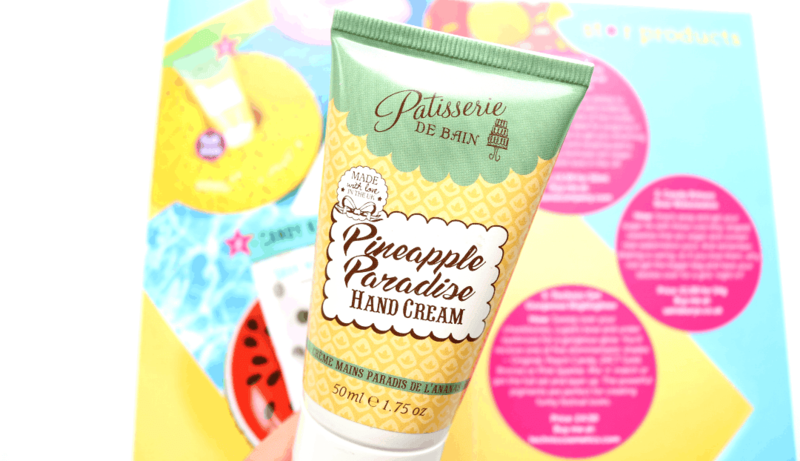 I love anything pineapple scented and this hand cream smells absolutely delicious! Very fruity and summery, it’s a convenient 50ml size so it won’t take up much room in your suitcase and you can take it on the plane with you to keep your hands happy and hydrated during the flight. 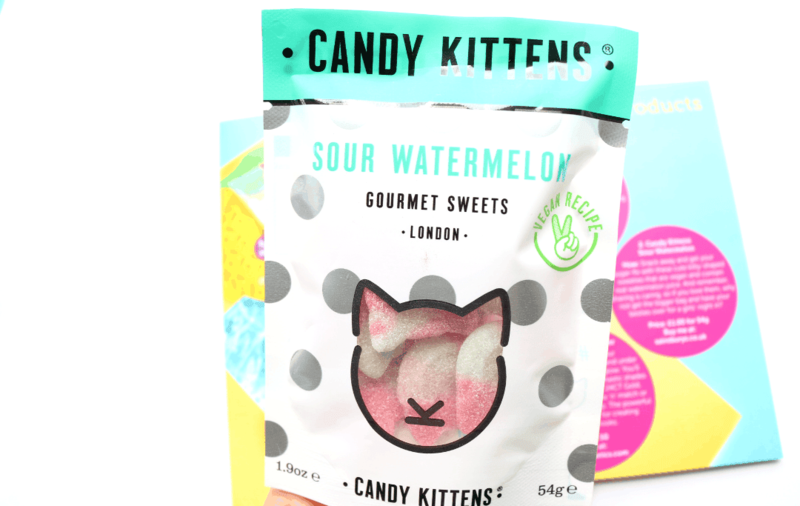 Sour sweets are the best and these ones from Candy Kittens are amazing! Not only are they shaped like cat heads (super cute! ), but the Sour Watermelon flavour contains real watermelon juice, so it’s fruity with a yummy sour tang. These sweets are also suitable for vegans as they are free from gelatine which is awesome. 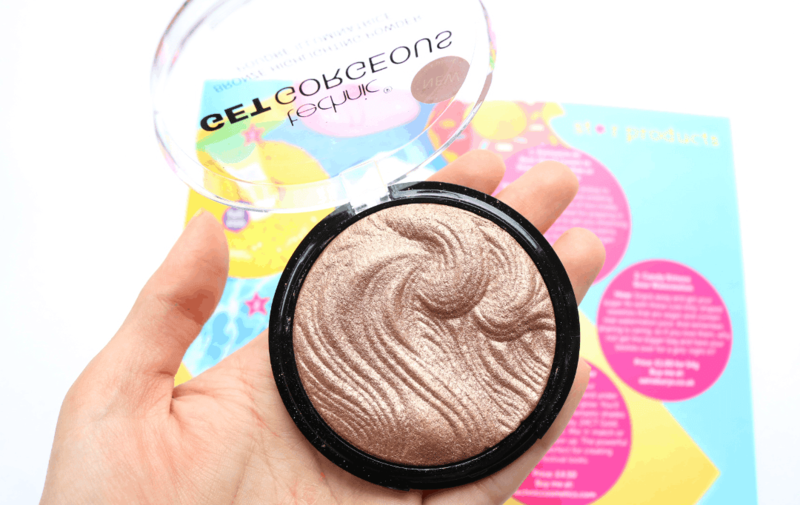 Moving onto some makeup, there is a stunning full-size highlighter from Technic which looks incredibly shimmery and mesmerizing – just look at that swirl! You’ll receive one of five shades and I was really happy to get this Bronze colour because it works so well with my tan. 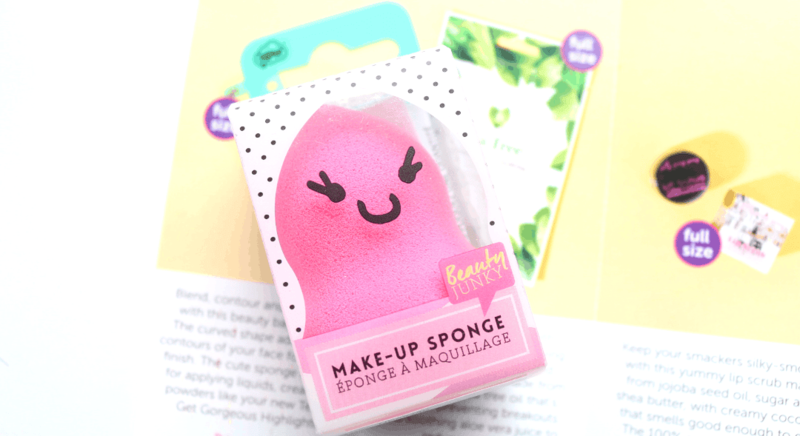 Makeup sponges are the easiest way to apply your favourite foundations and base products, and this one from NPW Beauty Junky looks very cute in its packaging. It has a curved shape to adapt to the natural contours of your face and the sponge does a brilliant job of blending in any kind of cream or liquid product. 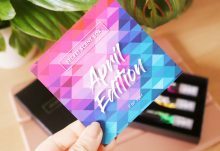 Sheet masks are one of my favourite ways to treat myself to a Sunday pamper, so I was very happy to see one in this month’s box. 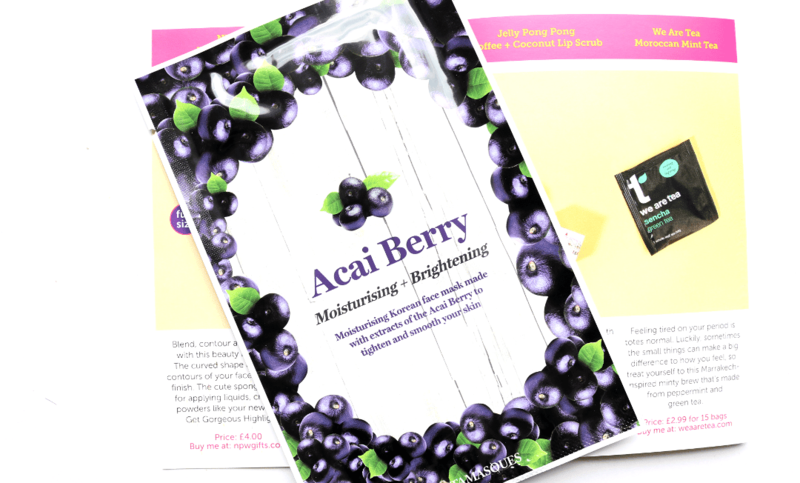 Made from the Korean brand Vitamasques, I received the Acai Berry mask which is moisturising and brightening. Worth £15 on its own, this Coffee & Coconut Lip Scrub from Jelly Pong Pong is made from natural ingredients which means that it’s free from lots of nasties such as parabens and mineral oil. It’s also 100% cruelty-free (yay!) and smells good enough to eat! 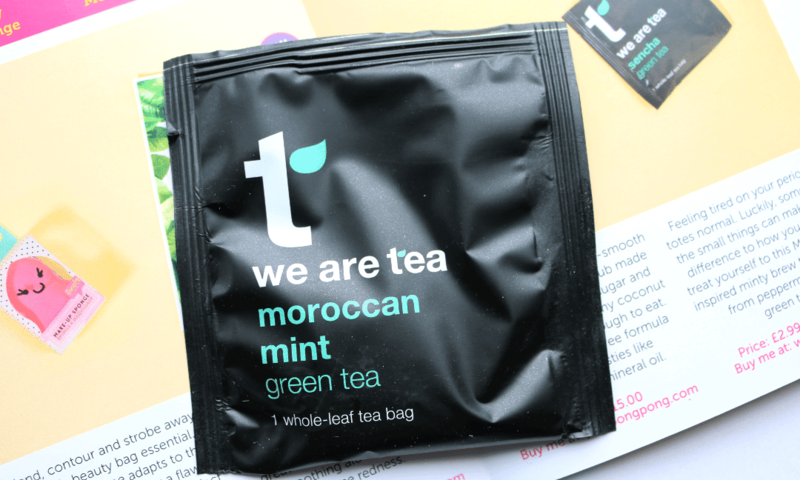 Lastly, there’s a teabag sample from We Are Tea and I really enjoyed brewing this Moroccan Mint Green Tea flavour to have with my breakfast this morning. Very refreshing and can be made into an iced tea if desired. 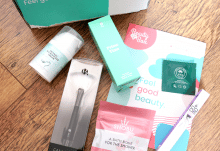 If you are a young girl/teenager or you're a parent who has one, the bettybox boxes offer great value for money and feel like a real treat every month! 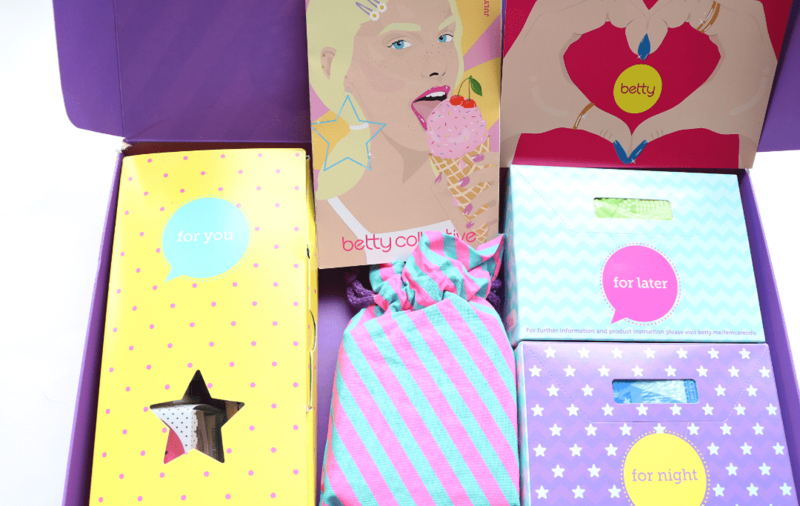 How would you rate bettybox ?